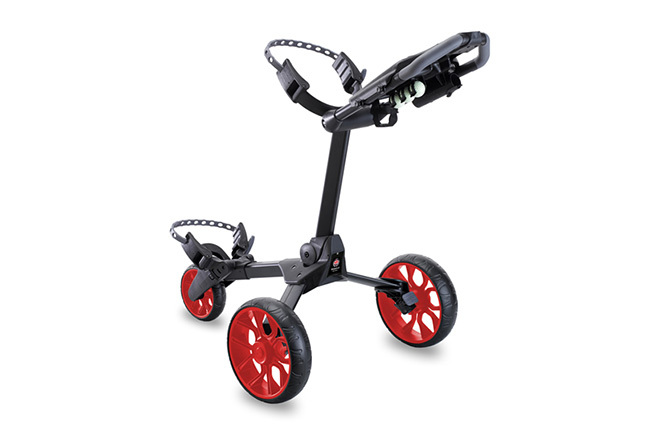 Backed by customer demand, Stewart Golf has added a splash of colour to its new R1-S Push trolley. 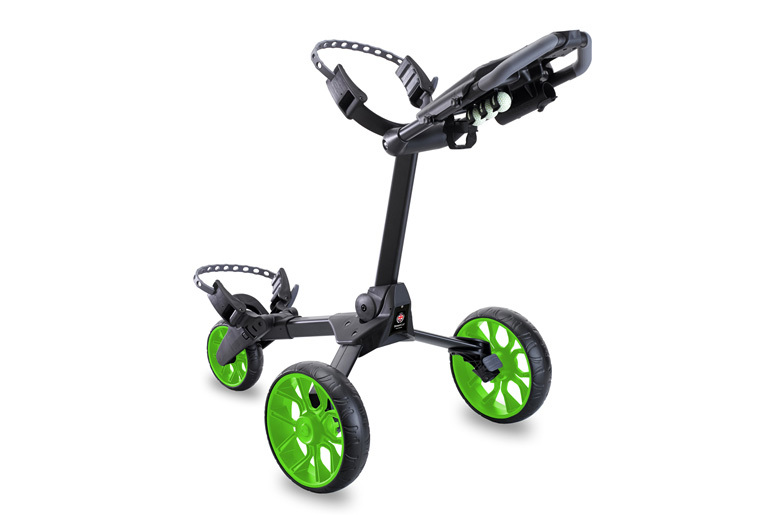 Three bold new wheel colour options have been added to the current range, which means the R1-S is now available with an anodic black or pearl white frame and a choice of black, white, red, blue and green wheels. The limited ‘Platinum Edition’ frame will also be available with all five colour options, making the total number of variants 15. The new coloured options will also be complemented by a colour matched handle knob and black latch lever with domed resin badge featuring the Stewart Golf GB crest. Models with black or white wheels will continue to feature a handle knob and latch lever with a white, soft touch finish. Along with the new colour options, Stewart Golf’s engineering team has made more than 40 enhancements and improvements to the design and build of the product since its launch almost two years ago, all of which are included in the R1-S Push.